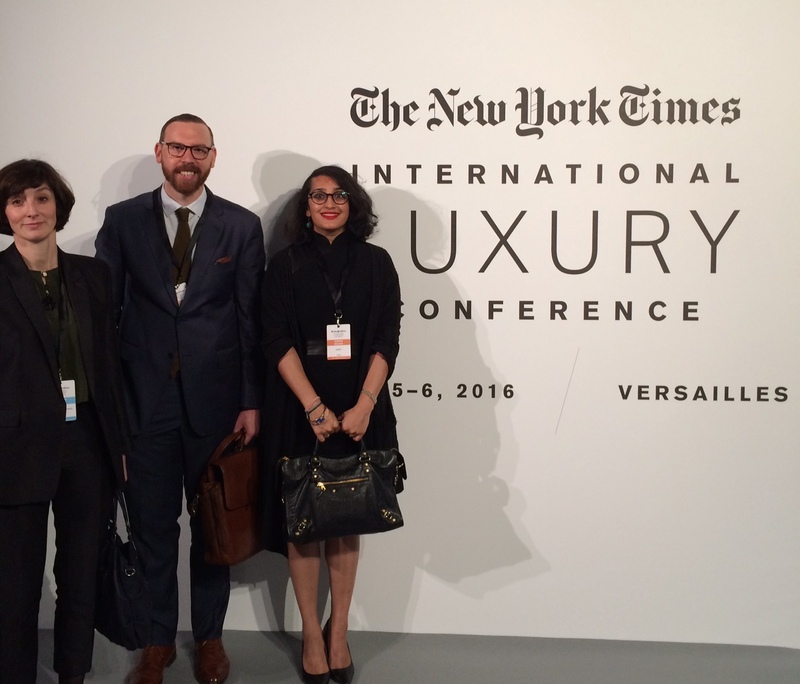 The annual International New York Times Luxury Conference came back to luxury’s roots this year: spanning three days, the conference gave attendees the chance to mix, mingle, and learn from some of the industry’s leading figures in the opulent setting of the Trianon Palace in Versailles. Day 1 started with beautiful opening remarks from Stephen Dunbar-Johnson, President of the INYT, who spoke movingly about the attacks on Paris last November, and of Vanessa Friedman’s concerted efforts to keep the conference in Paris. He also touched on some of the broader themes from the agenda: the concerns of unrelenting consumerism and sustainability, the need for luxury companies to embrace digital innovation, and the pulling together of the industry after tragedy. 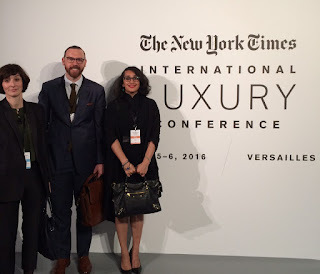 His opening remarks were followed by a touching video from Anne Hidalgo, the Mayor of Paris, whose remarks echoed the theme of this year’s conference – “Values Beyond Product” – as she spoke of the special relationship between Paris and the luxury industry. “You can count on Paris”, she intoned, to stirring applause from the room. The day moved on swiftly, first to a short introduction from Vanessa Friedman, the NYT’s Fashion Director and Chief Fashion Critic, and then to the morning’s keynote speech from Maureen Chiquet, former CEO of Chanel. Chiquet is notable for having been one of the few women in a leadership position in the luxury industry, and so it was especially valuable to hear her advice for leadership: not to ignore those qualities typically considered more “feminine”, to listen to history, your team, customers, to be curious, and to lead with empathy. 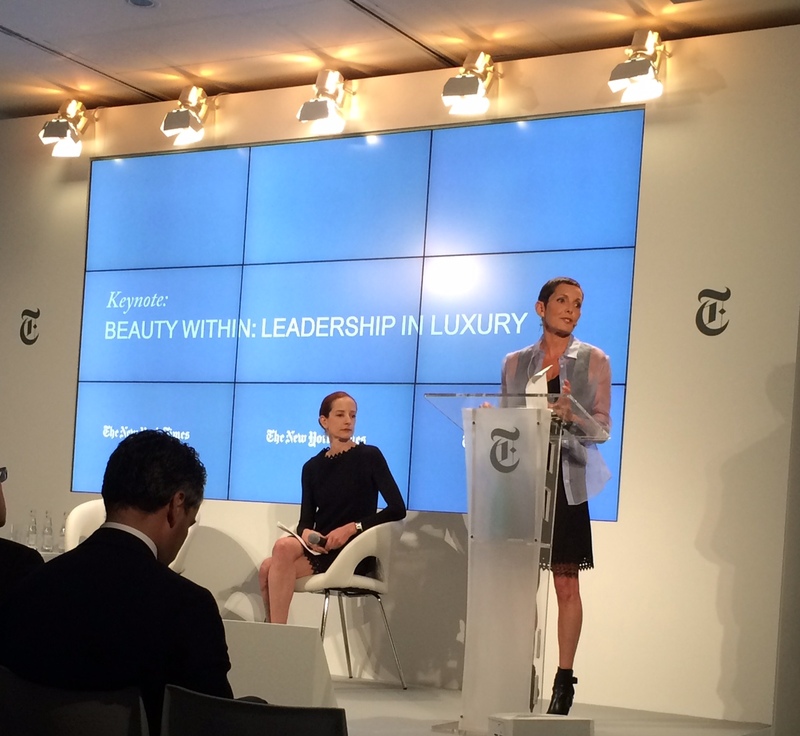 “What is precious in this world is changing”, she said, and these are powerful words to consider for luxury: a reminder that flexibility and agility are valuable assets in a dynamic world. The first panel of the day was also one of the most controversial: moderated by Roger Cohen, Bernard Kouchner, Nouriel Roubini, and Nader Mousavizadeh discussed contemporary issues outside the luxury industry and the effects within the industry. The panel was a very timely, and welcome, reminder that there is a wider world outside what sometimes seems like a luxury bubble: the panel touched on the war in Syria and the refugee crisis, the world’s failure to adequately address what is happening as a result, fears of terrorism, and the upcoming US elections, to name but a few. The discussion brought quite a few questions from the audience as well, but the take-away from the panel was clear: in a world where luxury is widely perceived to be the domain of the 1%, the members of the luxury industry cannot ignore or forget the larger context in which we survive. 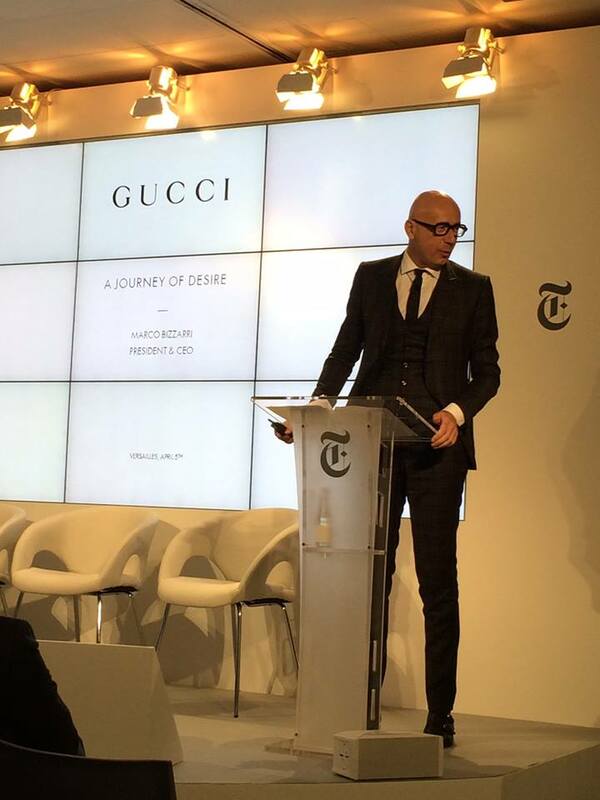 After a short break, the discussions continued, first with a keynote from Gucci CEO Marco Bizzarri, who spoke at length about one of the fashion industry’s hottest names, Alessandro Michele, and his reinvention of the classic Gucci logo. Is the logo really over? No, said Bizzarri, and then ‘no, but –‘. Bizzarri’s speech echoed some of the things that had been said earlier in the day: logos are powerful brand symbols, and cannot be left behind or ignored. But to maintain the dream factor that is so essential for a luxury brand, reinvention is a requirement, and a brand cannot rest on its laurels and assume that what worked for ten years previously will work for another ten. The panel that followed discussed this at length: Andrew Keith of Hong Kong’s luxury multibrand powerhouse Lane Crawford and Maurice Lévy of the Publicis group joined Mr. Bizzarri for a lively discussion on the reimagining traditional motifs, how new blood invigorates heritage brands, and a short segment on the problem of designers leaving maisons after only a few years. The final session before the lunch break was one of the more contemporary sessions of the day: Vanessa Friedman moderated a discussion with director Luca Guadagnino and Acne Studios co-owner and chairman Mikael Schiller on reimagining the aesthetic environment. Attendees were first treated to a lengthy look at a scene from Guadagnino’s upcoming A Bigger Splash. The panel that followed considered a very interesting question: can a scene or a physical space have an aesthetic so identifiable that the vision of it is enough to inspire desire? Schiller and Guadagnino came at the idea from very different perspectives - from retail spaces and the shopfloor to the silver screen – but their perspectives were similar: that in working outside the common creative capitals, they were creating their own aesthetics, and the only way to create successfully is to create with authenticity.